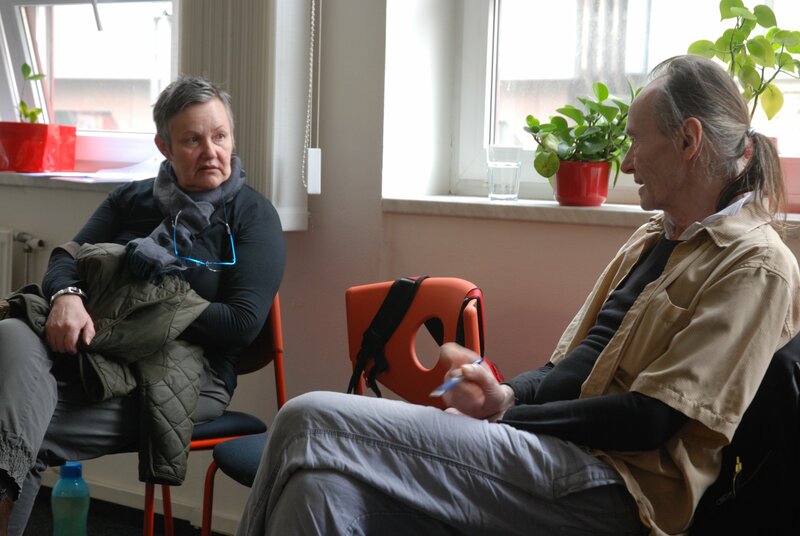 This time, we focused on the last part of the upcoming educational package for workers with communities – on creation of new stories, and we followed 11 detailed interviews and stories of unemployed people in age over 50 years, which were in frame of the project collected during January and February 2016. 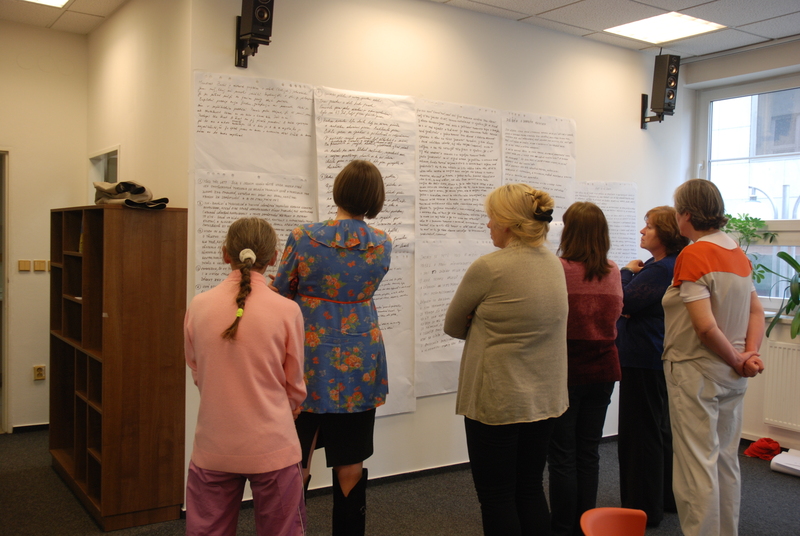 Firstly, ten participants were asked to rewrite the notes from an interview with another person into a story. Then, they had to determine in pairs a value or an idea with a priority value. This priority value they had to find then in all the rewritten stories and then they had to choose a story which corresponded with their choice the most. They needed also to justify their choice. During the event, there were involved in the form of questions also our guests – Ms. Červíčková (Plus 50), Ms. Sokačová (Alternativa 50+) and Ms. Židlická (Juventa Agency). 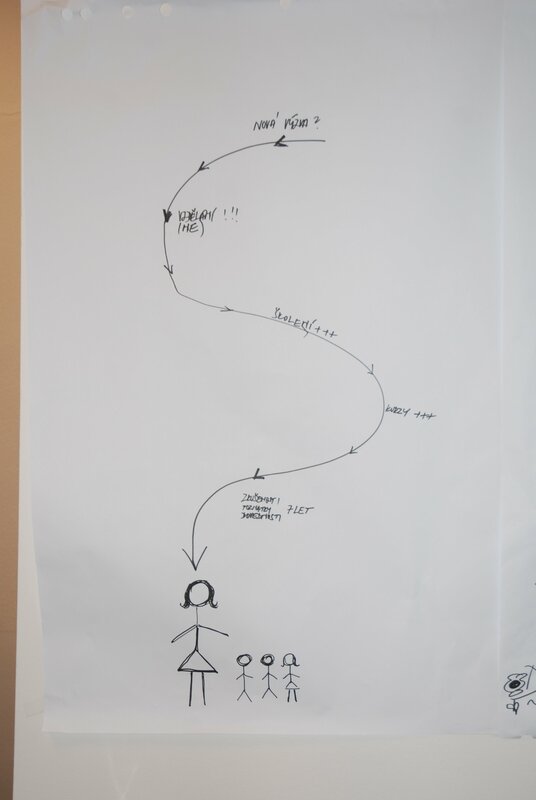 In the end of event, the participants were asked to illustrate, describe and draw their new future story in the form of ways and activities which are necessary to achieve the goals that they would like to achieve. We were happy to see that the participants were leaving the event in very positive mood and with an optimistic view to the future, which is actually also the aim of this project. All the guests confirmed that there is clearly visible an advancement in attitude and also in thoughts of the group of unemployed people in age 50+ in comparison with events which were held in frame of RS&RC project before summer 2015. Let´s hope that all the participants will find their dream job soon!